We’ve hit a lull in our adventuring. It seems The Holidays and the tasks we’ve had for school have taken most of our energies, and we want to sit at home and veg. But we’ve made it out to two local parks recently, and I wanted to share our experiences. 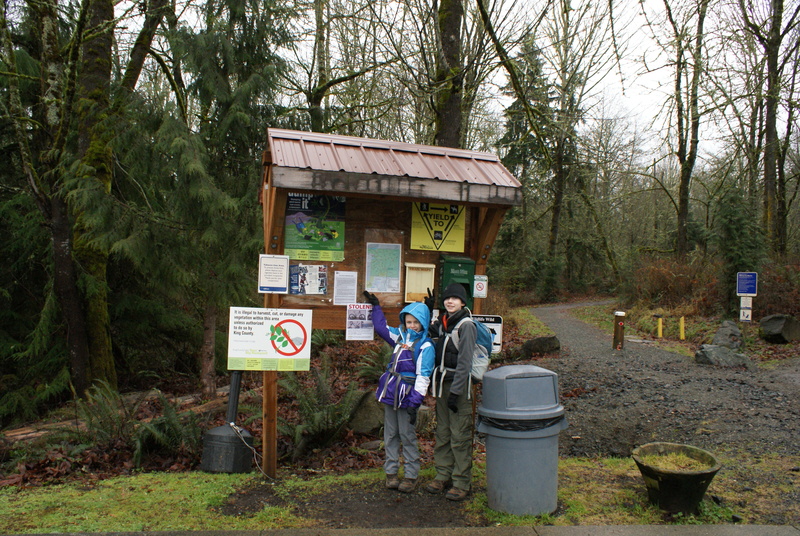 Lord Hill Regional Park is a large multi-use park between Monroe and Snohomish. On the day we went, it was cold but dry, and Daddy was able to come along. We started at the main parking lot, descended down to the Beaver Lake trail, up the Pipeline and the Pipeline Connector Trail, and then back up the Main Trail to return to the parking lot. We all thought it was a pretty park, even in the sleepiest part of winter, where little is growing or tweeting. 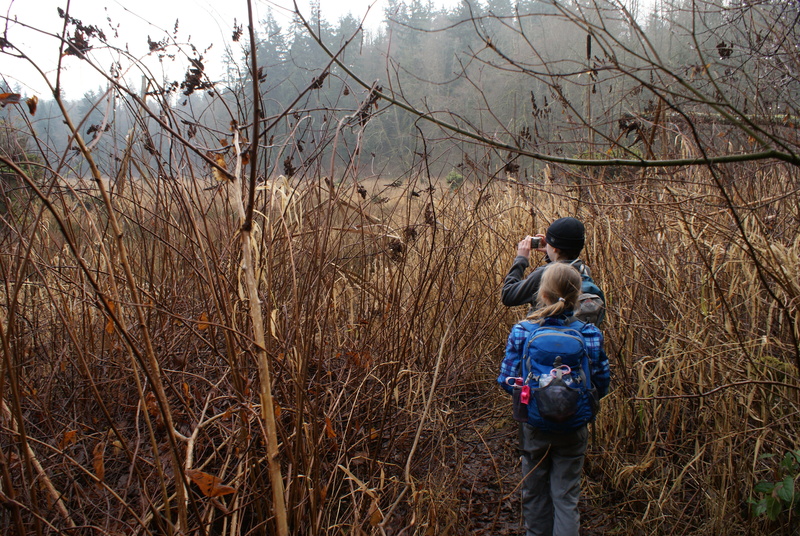 Beaver Lake is surrounded by grasses and shrubs, with only one or two trails leading down to its marshy margins. We checked out one of these trails, and were lucky to catch a great blue heron preening on a tree nearby. Can you see the heron? We didn’t see any areas to actually play in the water, so don’t count on this lake in the summer months for water play. 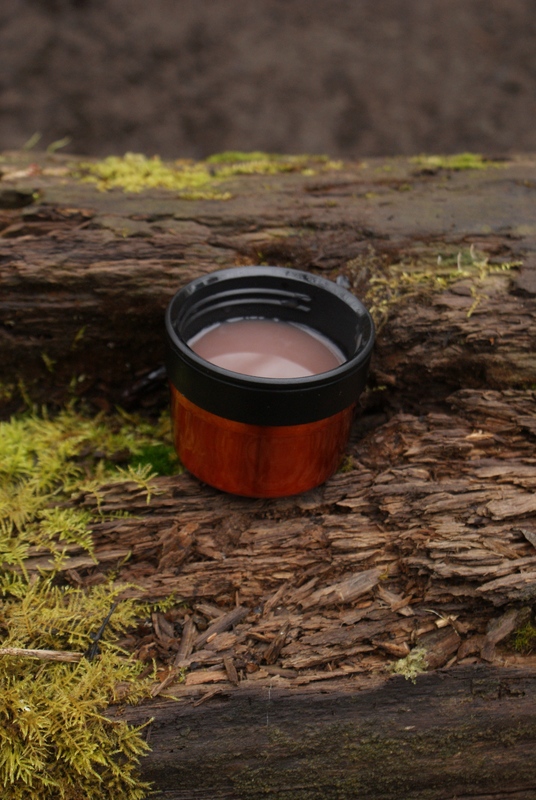 We did find a place to sit in the trees, though, and brought out our new thermoses full of cocoa to warm up while we had a snack. 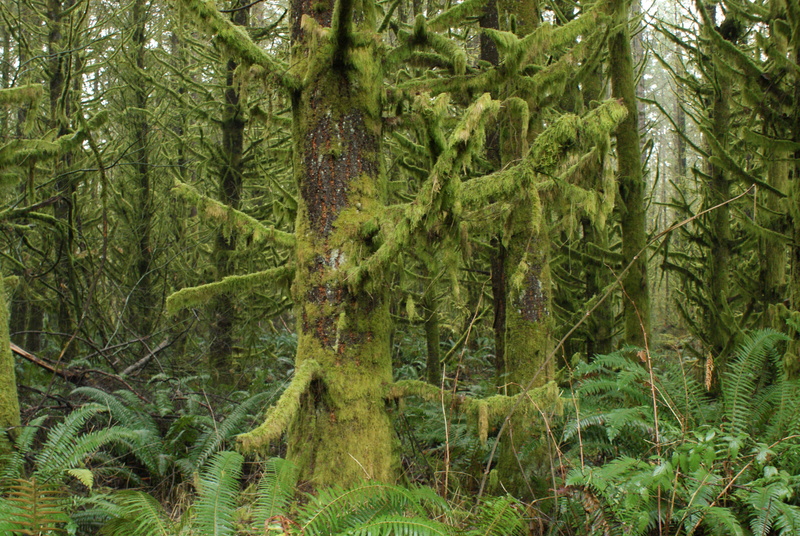 While walking back on the Pipeline Connector Trail, we marveled at the moss covering the trees, draping down from the branches and creating a magical feel. Annika liked the horses that we encountered on the trails. Equestrians have a separate parking lot; mountain bikes are also allowed here. 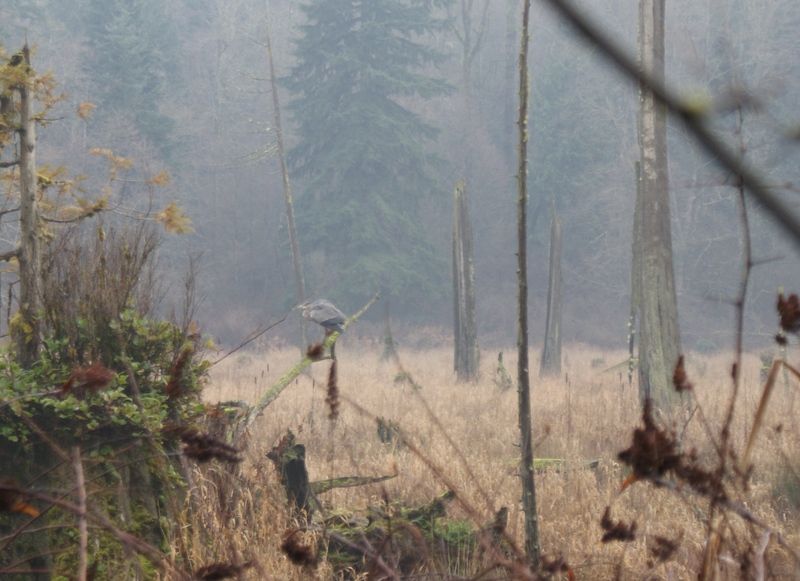 We look forward to going back in the spring and seeing how many birds we encounter. 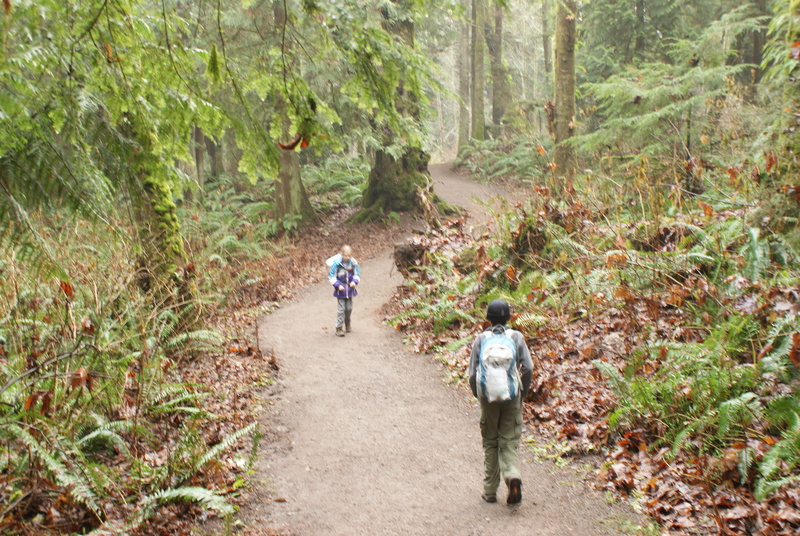 If You Go: There are over six miles of trails to explore in this quiet park. 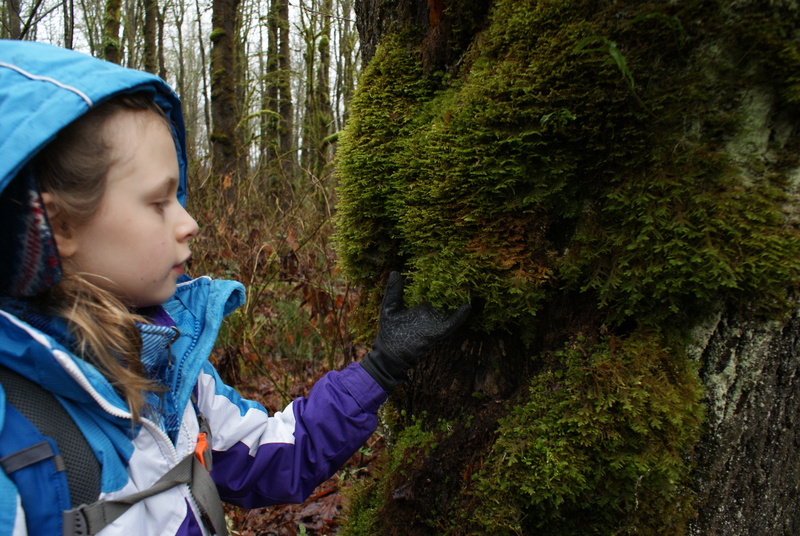 You can find directions to the park at the Snohomish County Parks website. A printable map will help you find your way around, though there are maps at most of the junctions to keep you on track in the park. There is an outhouse at the parking area. 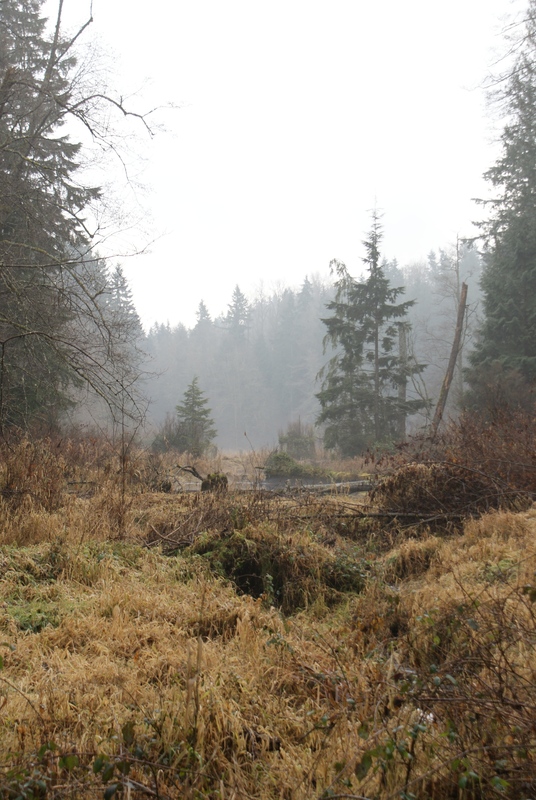 The other local trail that we explored for the first time recently is the Soaring Eagle Regional Park outside of Redmond. 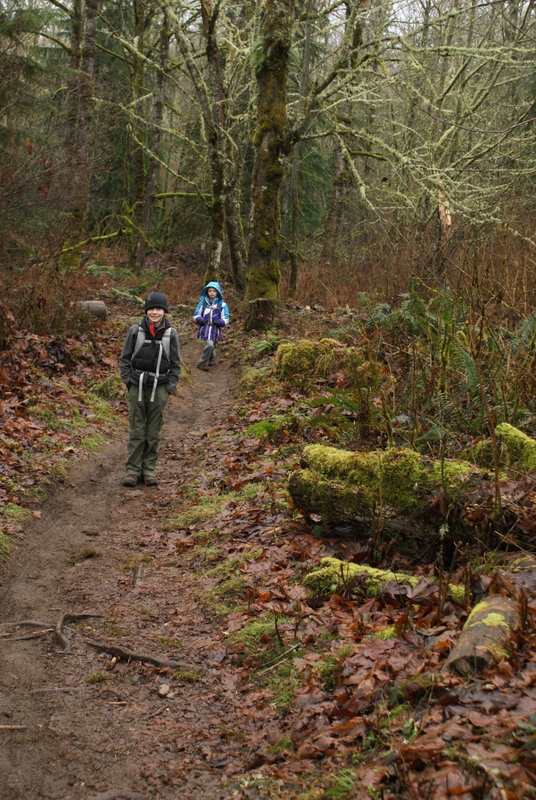 We picked a wetter day for this hike, but it started out dry enough. We walked down the main trail (this park also has a Pipeline Trail), turned down the Sleigh Ride and the Camino Espinosa, and stopped at the unnamed lake that Patterson Creek runs into at the northwest corner of the park. Gabriel has been requesting hikes with wetlands so he can see winter waterfowl, and we thought this lake looked promising on the map. But the only bird we saw was a red-tailed hawk flying and perching in the distance. 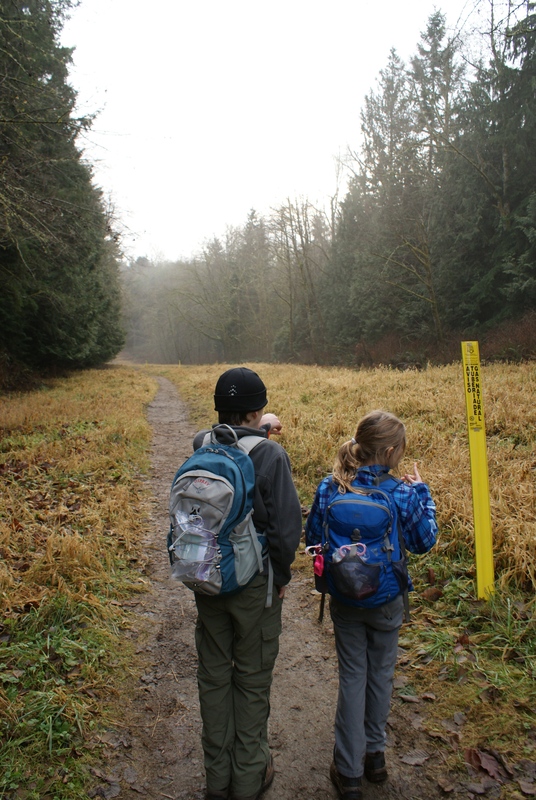 We sat next to the trail at this point – we hadn’t walked very far, but the kids wanted to just enjoy the day (and their cocoa!) 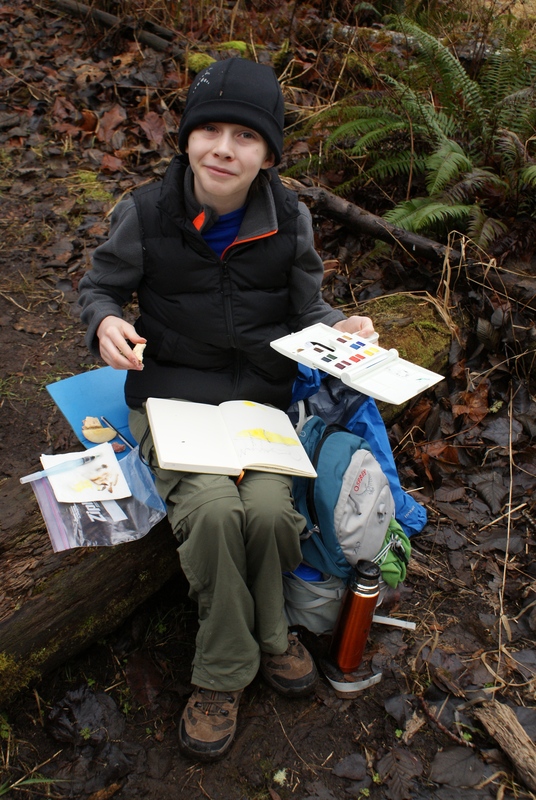 and Gabe wanted to sketch with his new travel watercolor kit. It was raining that fine, drenching rain by that point, so we turned back down the main trail, and headed back to the car. 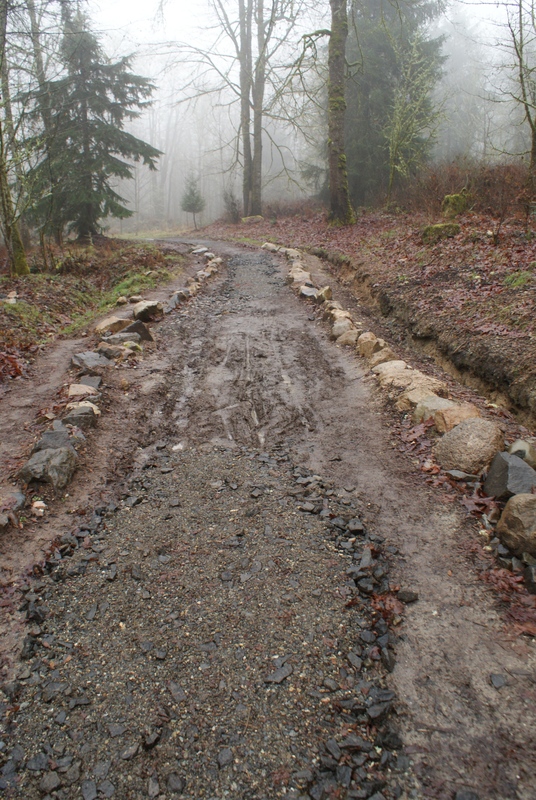 We saw evidence of recent trail work in progress, and were happy by the state of the trails we got to hike on. If You Go: The Soaring Eagle Regional Park has 12 miles of trails cris-crossing its 600 acres. There is ample parking and an outhouse at the main entrance off of East Main Drive in Samammish. 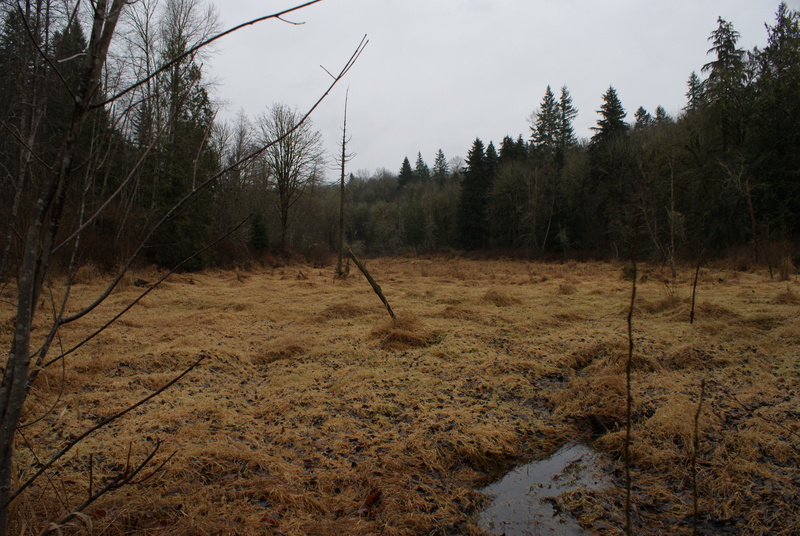 The park can also be accessed from the Beaver Lake Preserve. 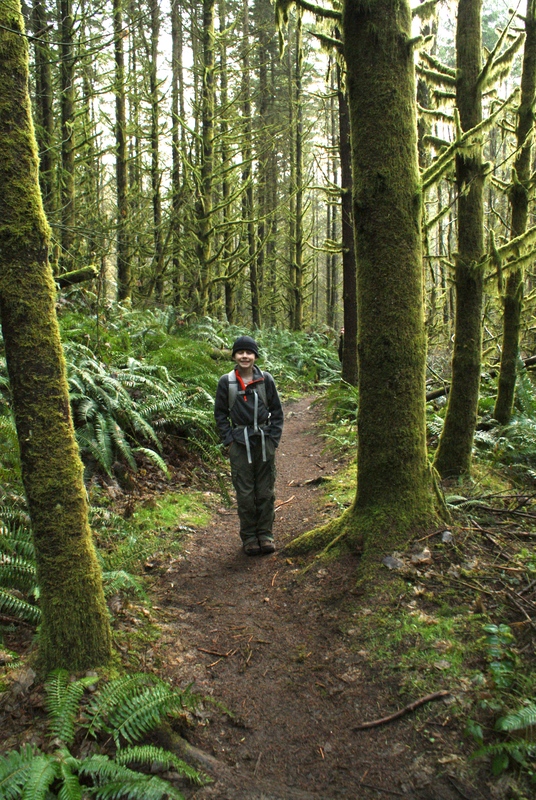 Hikers will share the trails with mountain bikers and equestrians. 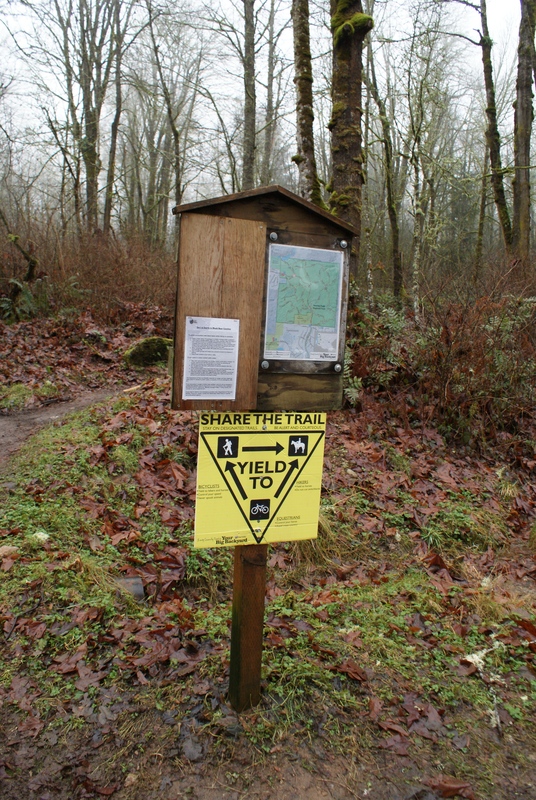 You can print out a map off the website, but there are also signs at every trail junction to help you find your way.